J. 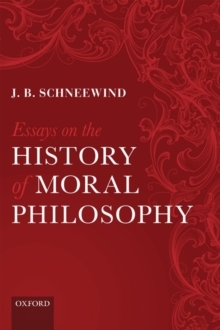 B. Schneewind presents a selection of his published essays on ethics, the history of ethics and moral psychology, together with a new piece offering an intellectual autobiography. The volume ranges across the seventeenth, eighteenth, and nineteenth centuries: it includes Schneewind's early anti-foundationalist 'Moral Knowledge and Moral Principles', the classic 'The Misfortunes of Virtue', and other early essays on Kant's relation to pre-Kantian moral philosophy;also a long piece on 'The Active Powers', and Schneewind's own interpretation of Kant's moral philosophy. These writings provide excellent introductions to Schneewind's two long books, and supplement them in important ways.